For a beautiful and robust garden, Mason bees are an essential ally. 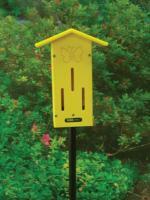 These peaceful pollinators are highly sought after for their propensity to improve pollination for early spring flowers. Mason bees need existing holes to nest in, since this type of bee does not have a queen to protect. 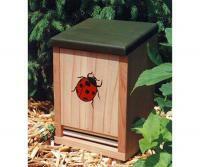 The Mason Bee Lodge from Schrodt brings these helpful bees to gardens by providing the holes for bees to nest in. 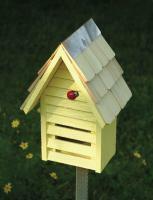 Thanks to this bee lodge, you can watch your gardens and orchards flourish! 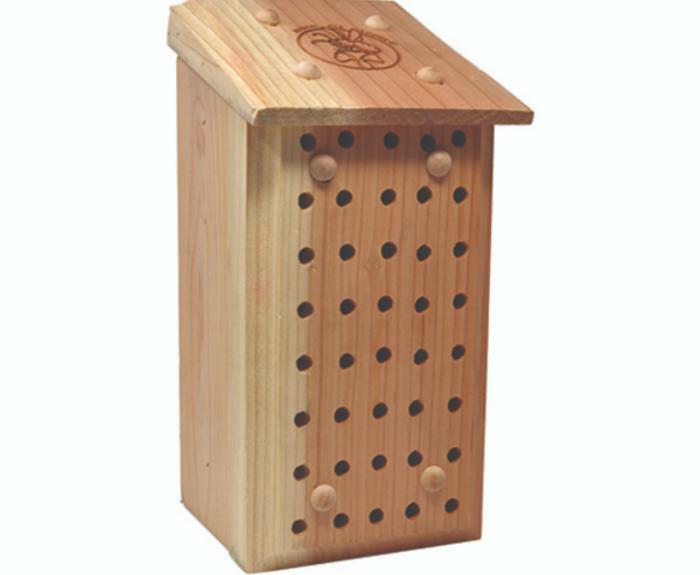 My biggest concern with this product is that that holes are not nearly deep enough for optimal mason bee nesting. According to my research a six inch hole is required to attain the proper ratio of male to female bees that emerge in the spring. Other than that the construction is sound and the wood quality is decent.